Eye Care Directory offers up-to-date information about the optical eyeglasses stores and eye doctors for your vision needs in the Greymouth of South Island. You may arrange an free eye exam, buy prescription eyeglasses, RX sunglasses or donate your old eyeglasses by using the contact information in the directory. In the Greymouth, optometrists can be found in the vicinity of a chain optical retail store, or in an independent optometrist's office. Optometrists are trained to address both vision refractive errors and eye health. Many optometrists sell high-end eyeglasses and contact lenses in their practices with the most professional possible services in addition to performing eye exams and writing prescriptions. Ophthalmologists are medical doctors (MD) in the eye care and vision health who perform eye exams, write prescription for eyeglasses, sunglasses and contact lenses, diagnose and treat eye diseases and carry out eye surgery. Ophthalmologist's responsibility is much beyond that of optometrist. What kind of important care i need for my eyeglasses? Do you mean you have a pair of computer glasses? 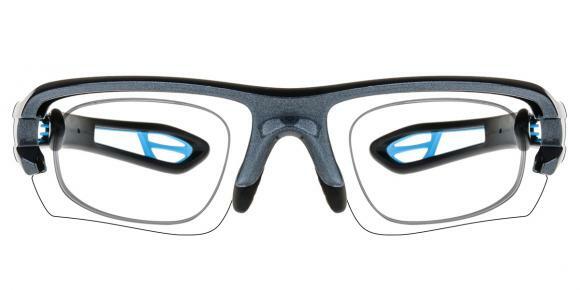 computer glasses are designed to correct vision within a fixed distance. They can't be used for view things in the distance. And they also can't be used when you are playing intense activity. gently put on and take off your glasses is also very important. Hope this helped! Why do my eyes get red after exercise? It is a common thing to have red eyes after exercise. They should go back to normal soon and you don't need to worry. Strenuous exercise can cause increase in blood flow builds up pressure in your head, which results in blood vessels to expand, including those in your eyes. But there is the possibility that an underlying medical disorder, such as high blood pressure, could be the cause. Other common, less-worrisome causes include straining during exercise and irritants such as dust or sweat. Can botox cause bloodshot eyes? Well, as you might figure out, Botox is used to stop people's face from aging and make them look beautiful. However, every coin has two sides and there are always consequences. According to some cases, improper use of botox could lead to eye disorders such as booldshot eyes, and it is really awful. So my advice for you is to seek professional treatment and be careful when choosing to use some drugs. I'm 13 years old & i been wearing glasses for a long time. Christ that's awful, I remember those days....just ignore them for now, if you can, and try to get as much sleep as possible. I found that I had more pronounced bags when I was your age but around 16 because my face grew my skin sort of stretched and looks more natural now. How to get rid of wrinkles in between eyes? you can use some natural remedies for removing ur wrinkles under eyes like u can use yogurt mask for wrinkles, lemon juice is another good way of removing wrinkles without any side-effects...Another thing that u can do is u can increase ur vitamin E food intake which helps a lot!!!! 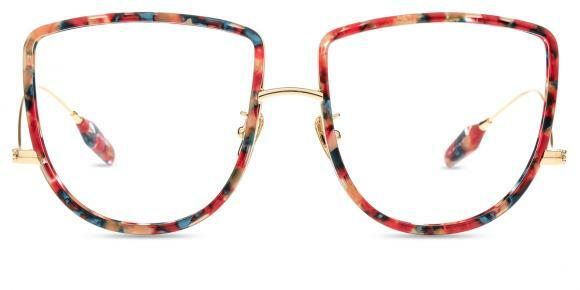 Can wrap around sunglasses be made with prescription lenses? Yes. I have saw some sites online signs that they made prescription wraparound sunglasses. But, this is not for sure, but depends on your prescription. If you have mild prescription, prescription wraparound sunglasses are available. But if you have high prescription (usually over -/+5.0 SPH), you are not recommended prescription wraparound sunglasses. If so, you may have to try clip on sunglasses or fitover sunglasses if you want to get clear vision as well as eye protection from UV rays. What styles of sunglasses are popular for men now? When it refers to popular sunglasses for men, how can you lack of aviator style sunglasses and wayfarer sunglasses. For men, aviator sunglasses and wayfarer sunglasses are also called retro vintage style. aviator sunglasses are originally produces in 1930s while wayfarer style sunglasses in 1950s. Now, the best brand for Aviator and wayfarer sunglasses are Rayban, You can search it them online or buy them in their glasses stores. Where can I get super dark sunglasses online? What is myopia and hyperopia? Myopia, as it is medically termed, is a vision condition in which close objects are seen clearly, but objects farther away appear blurred. People with hyperopia can see distant objects very well, but have difficulty focusing on objects that are up close.